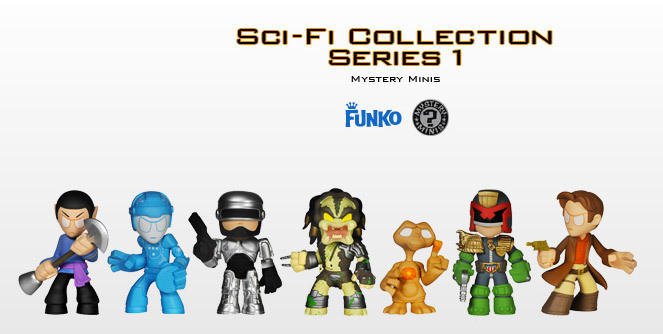 Funko is releasing a line of Mystery Minis that feature all of the characters we love from sci-fi. You can get a containing four randomly selected figures. These guys are 2 1/2-inch tall and are adorable and nicely detailed. These are blind-boxed so you never know what you are going to get. 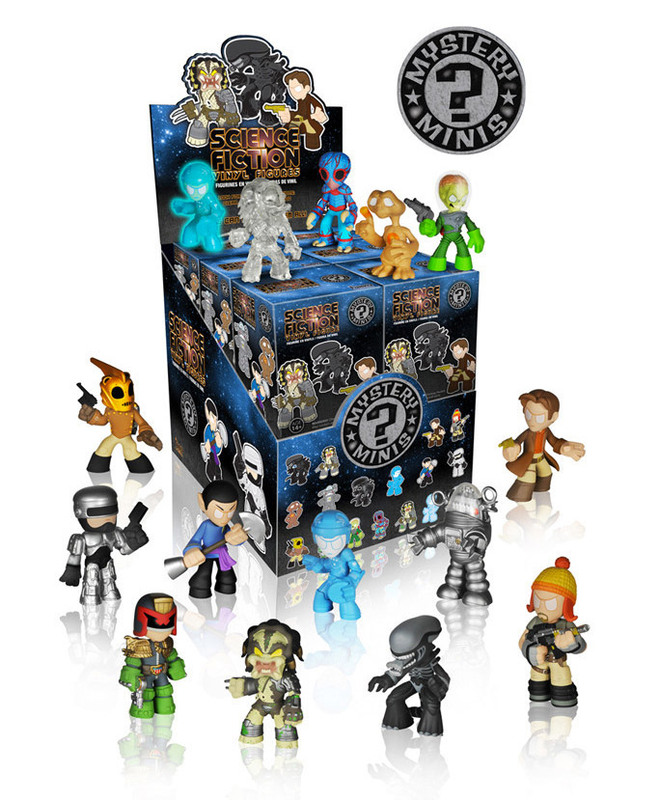 The cartoony characters include Predator, Alien, Mars Attacks Alien, Judge Dredd, Robby the Robot, B-9 from Lost in Space, Robocop, Amok Time Spock, TRON, Metaluna Mutant and E.T. among others. Looks like they also included Mal Reynolds and Jayne from Firefly. The Rocketeer too. I know I will be collecting these. So many cool toys, so little time.